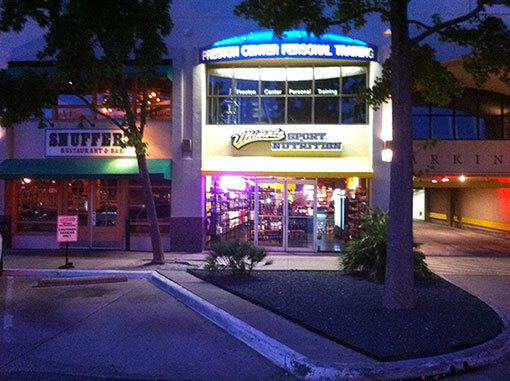 Ultimate Sport Nutrition was established in Feb. of 2002 and the first retail store was opened just a few months later. The idea was to start a supplement store that really had Ultimate prices and Ultimate service and Ultimate selection. Some thought I was crazy to have my prices so low, and even crazier that I would take returns so freely. But I believed in the idea of taking care of people like I would want to taken care of as a customer. We would shoot people straight instead of just trying to sell them more stuff. I knew that people don’t come in to a business to spend money, they come in to have a need met, a goal met, or a problem solved. This way of running the business not only worked, it worked well. USN quickly became one of the fastest growing specialty supplements stores anywhere and has grown into the 16 locations you may already be familiar with. We very much thank the DFW area for allowing us to serve them to the best of our ability. And we vow to continue to have the best service, the best and latest supplements, and knowledge to help you find the right ones. Our stores are living and breathing, meaning we are always adding new items, flavors and versions, like clothing and fresh meals, egg whites and protein bread. Even sometimes having exclusive flavors only available from USN. So, if you haven’t visited in a while, drop in. We are very low pressure, in fact we usually will have the game on and a couch to hang out on. We have locations all over the Metroplex, so we are never far away and each store has it’s own unique flavor but with the same driving passion to be the best we can. If you ever have an issue with any of the stores or just some feedback, good or bad, please call or email me anytime.